Born in Denmark, Paul Augustinus grew up in Kenya, Tanzania and Zimbabwe. A self taught artist, he studied geology at Natal University and worked as a geologist for a year before taking up painting full time. 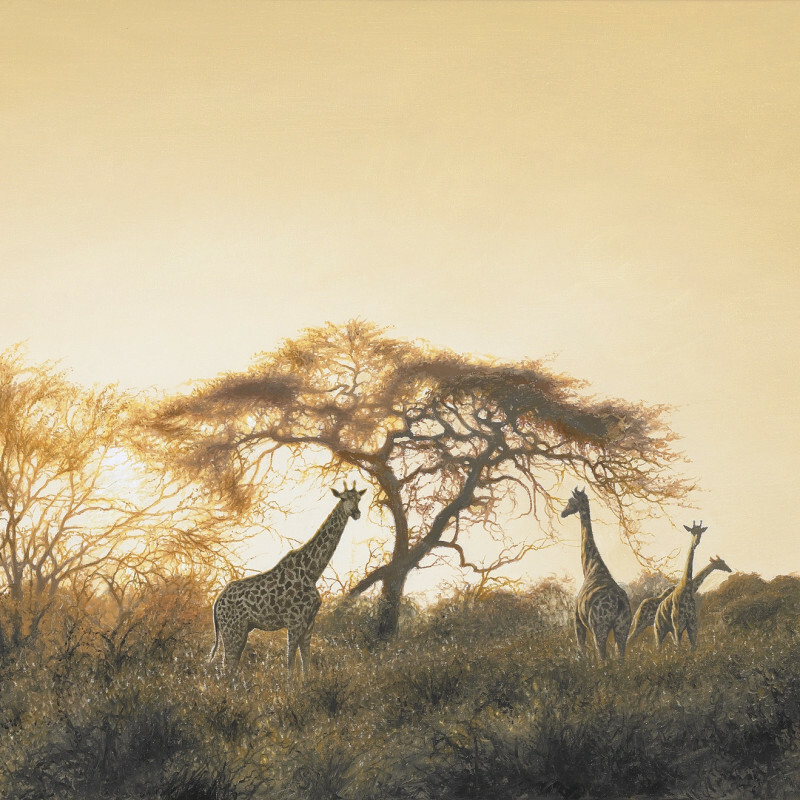 Inspired by the romance of wild animals and majestic landscapes, Augustinus has painted some of Africa's most unspoilt regions. He spent ten years painting in Northern Botswana game reserves, three years in the Kaokoveld in Namibia and eight months in the rainforests of Equatorial Africa. He has also travelled extensively in North America, Asia and Europe in pursuit of material for his wildlife paintings. He currently lives in East Africa. As well as participating in group shows at the Tryon Gallery in 2001, 2003 and 2007, Augustinus has held outstanding solo exhibitions there in 2006, 2008 and 2012.